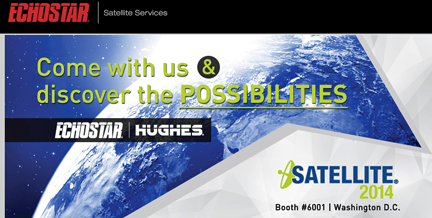 [SatNews] EchoStar Corporation (NASDAQ: SATS) has announced that former NASA Flight Director Jerry Jason has joined EchoStar Satellite Services, L.L.C. (ESS), a wholly-owned subsidiary of EchoStar Corp., as vice president, spacecraft operations and engineering. Jason will be responsible for all flight operations, engineering and analysis of EchoStar’s fleet of 23 owned, leased and managed spacecraft, and will also manage the telemetry, tracking and control systems infrastructure. He will report to Derek de Bastos, chief technology officer of ESS. Jason joins ESS from the NASA Johnson Space Center, where he served 18 years in the Mission Operations Directorate. During his tenure, he was a flight controller for more than 30 Space Shuttle missions and, for the past six years, was a flight director for the International Space Station (ISS). As flight director, Jason was one of the few select individuals responsible for real-time operations of the ISS and successfully completed the ISS Expedition 23/24 missions and two automated transfer vehicle (ATV) resupply missions.